Rocker arm is one of the engine part of two wheeler which is especially one in an internal-combustion engine which serves work to the valve and operated by a pushrod from camshaft. 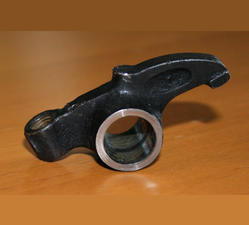 we manufacture rocker arm for all type of two wheeler as per O.E.M. Standard. In order to cater the variegated demands of our precious clients, we are offering an excellent quality range of Two Wheeler Rocker Arm. 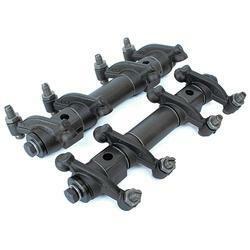 We offer high quality of Shaft Rocker Arm. Being a prominent firm in this domain, we are engaged in offering a distinguished assortment of PRW Rocker Arm. Enriched by our vast industrial experience in this business, we are involved in offering an enormous quality range of Support Arm Assembly. A Rocker Arm Support is a wavering switch that passes on outspread development from the cam projection into direct development at the poppet valve to open it. Nikam Iron provides the highest quality standard Sintered Rocker Arm Support equipment. A Rocker Arm Support is an internal combustion engine of automotive, marine, motorcycle and reciprocating aviation type. We are dedicatedly involved in providing an excellent quality array of Rocker Arm, for catering the various needs of our clients. - Forged with Bush / Socket / Seat / Toe. Outfitted with a modern infrastructure, we are the most prominent manufacturer of a wide array of Auto Rocker Arm.